Eden Hazard has spoken about the managerial situation at Chelsea & a potential transfer to Real Madrid's as "everyone's dream" but played down a summer move to Los Blancos in an exclusive interview with beIN SPORTS. 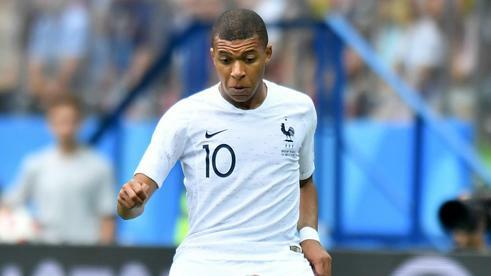 Hazard, who is set to lead his Belgium side into a World Cup semi-final against France also revealed his admiration for French teenager Kylian Mbappé ahead of the contest in Saint Petersberg on Tuesday evening. First and foremost, Hazard is focusing on the task at hand which is firing Belgium to a first ever World Cup Final. "For now, I'm thinking about the World Cup. We're waiting to hear what happens because there's a lot of discussions. We don't know if the manager is leaving." "No, not at all, but this is an important development. For now, I'd be happy to stay, I still have two years on my contract. For now, there's no one who wants to buy me. As I've said 100 times before, I'm very happy at Chelsea." "We'll see. Unfortunately, there's no Champions League this year, of course, we always want to play in that competition. I just want to play the games. We'll see what happens." "I think Real Madrid is everyone's dream. Zidane or no Zidane, the white shirt is special. But the blue shirt suits me well, so everything's fine, and staying doesn't bother me" added the winger when asked about a potential move, suggesting he could be interested in a transfer whilst firmly adding that staying with Chelsea would not be a problem for the 27-year old. "I've spoken to him a few times on the phone. He sent me a message after our match against Brazil. Me and him, we're two players who respect each other. I've also played in France." "I have a lot of respect for him, especially for what he's doing at his age. In modern football, we've never seen this. Someone who does this at 19. He has a lot of potentials." Whilst Hazard also added that the performances of the precocious Mbappé could lead to a nomination for the Ballon d'Or. "Yes of course. Ballon d'Or is of course tied into how many goals you score. That's all that counts now. But in terms of potential, he definitely can win it, he may even deserve it now."